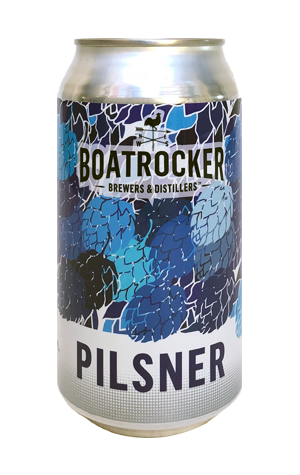 Pilsners have made irregular appearances in the Boatrocker lineup over the years. Hoppbier picked up an Australian International Beer Awards gold back in the brewery's earliest days and evolved into the Beer Garden Pilsner later on, so called as its inception can be traced back to brewery co-founder Matt Houghton's backpacking days in Northern Germany. As the brewery moved into cans, this beer – called, simply, Pilsner – is there with Miss Pinky and Sunshine & Rainbows. LIke its forebears, it's a beer that straddles the line between the lagers Matt would have enjoyed in German beer gardens and the NZ pilsners popularised by the likes of Emerson's and Croucher. The use of Kiwi hops lend the beer some lively lime curd characteristics while a little malt sweetness keeps the bitterness relatively restrained.